Here is screenshot below that how scalping strategies with bollinger bands and zig zag give us a accurate signals. ZZ 100 [Yellow] or ZZ 200 [Pink] Breakout Lower BB White [Deviations 2] or Blue [Deviation 3] TP 1 Median BB Blue [Deviations 3] TP 2 Upper BB Pink [Deviations 1] TP 3 Upper BB White [Deviations 2] Template Simple Scalping Strategy Download Here . Accurate signals will get if we use four hour or daily time frame as our based trend and apply the terms of condition of buy or sell signals in 5 minutes or 15 minutes chart. Example : as long in four hour or daily time frame there is no terms of condition of buy signals then it would be down trend still remain and we only take a looking for sell signals parameters on 5 or 15 minutes chart and vice versa. This simple price action trading strategies still need combined with averaging and tight money management. Suggestion averaging with 15-30pips on h1 and h4 time frame. If zigzag 200 appear on h1 time frame you can starting this strategy. More accurate if zigzag 100 and 200 appear on h1 time frame and four hour time frame (price at least above/below bollinger bands deviation 2 and 3) and also remember this two big period zig zag 100 and 200 it have to be on supply demand zones level and entry still need confirmation from candlestick basics confirmation to get a valid signals, this could bring us wealth pips every week. We can use this system on M15 Time Frame. 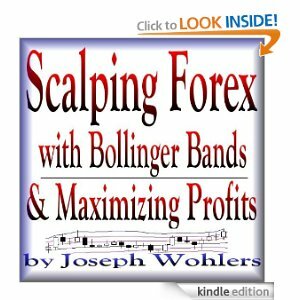 I’ve hope this scalping strategies using bollinger bands and zig zag can give us more pips in every day trades.